Kaplan-Meier estimates of the cumulative frequency of recurrent myocardial infarction, a coronary revascularization procedure, a hospitalization for angina, and death during follow-up postrandomization. Hazard ratio for treatment effect with azithromycin at various times after randomization. Error bars indicate 95% confidence interval (CI). MI indicates myocardial infarction. Box sizes in the plot reflect sample sizes. Context Several lines of evidence have implied an association between Chlamydia pneumoniae infection and atherogenesis. Objective To determine the effect of 12 weeks of antibiotic therapy on coronary heart disease events in patients with stable coronary artery disease and known C pneumoniae exposure. Design, Setting, and Participants Randomized, placebo-controlled trial of 7747 adults with previous myocardial infarction that had occurred at least 6 weeks previously (median, 2.6 years) and a C pneumoniae IgG titer of 1:16 or more. Patients were recruited from 271 clinical practices in North America, Europe, Argentina, and India, from October 10, 1997, to July 22, 2001. Intervention The patients received either azithromycin (600 mg/d for 3 days during week 1, then 600 mg/wk during weeks 2-12; n = 3879) or placebo (n = 3868). Main Outcome Measures The primary event was the first occurrence of death from any cause, nonfatal reinfarction, coronary revascularization, or hospitalization for angina. Patients were followed up until 1038 events accrued. Results After a median of 14 months of follow-up, there was no significant risk reduction in the likelihood of a primary event with azithromycin vs placebo (7% [95% confidence interval, −5% to 17%], P = .23). Analysis of hazard ratios suggested early benefits of azithromycin on the primary event and on death or reinfarction, but these decreased over time. There were no significant risk reductions for any of the components of the primary end point including death (8%), recurrent myocardial infarction (7%), revascularization procedures (5%), or hospitalizations for angina (−1%). Adverse events related to study drug were reported by 13.2% of those randomized to receive azithromycin, predominantly a result of diarrhea, compared with 4.6% randomized to receive placebo, and resulted in discontinuation of drug in 1.6% of those taking azithromycin and 0.4% taking placebo. Conclusion Among stable patients with previous myocardial infarction and with evidence of C pneumoniae exposure, a 3-month course of azithromycin did not significantly reduce the clinical sequelae of coronary heart disease. Several lines of evidence have led to the association between infection with chlamydia and atherogenesis. In 1988, a serological association was reported between coronary disease and antibodies to C pneumoniae.5 Numerous reports since then have confirmed this association. In addition, multiple studies of atherosclerotic plaques have found evidence of C pneumoniae by immunohistochemical stains, polymerase chain reaction analysis, or culture.6-12 Several animal models have confirmed the potential for the development of atherosclerosis after respiratory tract inoculation with chlamydia.13-17 Pilot clinical trials of preventive antibiotic treatment in patients with coronary disease have shown conflicting results, with some studies supporting18-21 and others not supporting22,23 the benefit of intervention. Larger, adequately powered studies are needed to make definitive conclusions about the effectiveness of antibiotic intervention in such patients. The objective of the Weekly Intervention with Zithromax for Atherosclerosis and its Related Disorders (WIZARD) study was to compare the effect of 12 weeks of treatment with azithromycin vs placebo on recurrent coronary events in a large population of stable patients with previous myocardial infarction and with evidence of C pneumoniae exposure. To be eligible for inclusion in the trial, patients must have had a history of myocardial infarction more than 6 weeks before screening documented by electrocardiogram or by elevation of creatine kinase and have an IgG titer to C pneumoniae of 1:16 or greater by microimmunofluorescence. Those who met the inclusion criteria could not have had coronary artery bypass graft surgery or percutaneous coronary intervention in the preceding 6 months, did not require chronic antibiotic therapy and had not received antibiotics in the previous 3 months. Patients were enrolled at 271 centers from the United States, Canada, United Kingdom, Germany, France, Spain, Austria, India, and Argentina. Each of the participating sites received approval from an investigational review board and all participants in the trial provided written informed consent. The design of the WIZARD trial has been previously published.24 The trial began on October 10, 1997, and follow-up concluded December 7, 2001. After a screening visit at which C pneumoniae antibody titers were measured, patients meeting eligibility criteria were randomly assigned to receive either azithromycin 600 mg or a matching placebo once daily for 3 days then once weekly for the subsequent 11 weeks. Sites were provided blinded medication in block sizes of 4, with an equal proportion of each treatment assignment. Sealed envelopes containing the treatment assignment were provided to each site, to be opened only in case of an emergency. The sponsor monitored the integrity of these envelopes at each monitoring visit. Patients, investigators, clinical site monitors, and the sponsor project team remained blinded through study completion. Patients were seen in the clinic for collection of blood samples or contacted by telephone specifically at 6-week to 4-month intervals throughout the trial. Blood samples were analyzed for red blood cell indices, creatinine, and liver function. A primary event was defined as death by any cause, recurrent myocardial infarction, coronary revascularization procedure (coronary artery bypass graft surgery or percutaneous coronary intervention), or hospitalization for angina, whichever came first. A committee blinded to treatment assignment reviewed detailed documentation of potential primary events for consistency with end point criteria defined in the protocol. Reinfarction was defined by the presence of 2 of the 3 following signs: the investigator's assessment of clinical signs and symptoms of ischemia, an elevation in levels of cardiac markers, specifically creatine kinase (CK) more than 2 times the upper limit of normal, CK-MB% at least 3%, troponin I or T more than 2 times the upper limit of normal, or new, diagnostic Q-waves in 2 contiguous leads. Hospitalization for angina was defined as exacerbation of the patient's usual symptoms that resulted in urgent hospitalization, supported by either electrocardiographic evidence of ischemia or an elevated level of a cardiac marker (troponin I or T, CK, or CK-MB) greater than normal but not diagnostic for myocardial infarction. Components of the primary end point were analyzed separately. Predefined secondary events included a noncoronary atherosclerotic event (stroke, transient ischemic attack, or intervention for peripheral vascular disease, whichever occurred first), cardiovascular death, and hospitalization for congestive heart failure. A data and safety monitoring board was responsible for monitoring for safety and efficacy. To preserve the overall type I error, an α-spending approach was used to determine interim monitoring boundaries. A conditional power calculation was used for determining the probability of a positive result. An independent statistical analysis center prepared data and safety monitoring board reports on the accumulating data. The original sample-size calculations assumed that there would be a primary-event rate of 8% per year in the placebo group and that the treatment effect would be a 25% reduction in the hazard rate.24 If these assumptions were met, the study with a total enrollment of 3300 patients and a total of 522 primary events would have 90% power to detect a treatment difference at a significance level of .05. The maximum study duration was originally estimated to be 36 months. During the course of the trial, information newly available provided support for the clinical utility of treatment effects of as low as 15%. As a consequence, after approximately 83% of the original targeted number of events had accrued, without unblinding the data, in April 2000, the protocol was amended to retain 90% power to detect a smaller treatment effect of 18.5% such that the study would then conclude when 1038 end points had accrued. To detect this effect within 12 to 24 months, approximately 4000 additional patients were enrolled. Data analyses were conducted using a modified intention to treat approach (all enrolled patients who received at least one dose of study drug). An evaluable patient assessment was also performed that included patients who met inclusion and exclusion criteria and took at least 80% of their assigned study drug with patients censored after use of an antibiotic from the tetracycline, macrolide, or quinolone classes. The primary analysis of the time to the primary event was performed using the χ2 log-rank test. Components of the primary event and secondary end points were analyzed in a similar manner. Patients were censored at last contact or if all scheduled visits were completed at study end. For secondary end points without death, patients were censored at date of death. The Cox proportional hazards model was used to compute hazard ratios (HRs) and to consider possible confounding variables while the cumulative event curves were estimated by the product-limit (Kaplan-Meier) method. Risk reduction was calculated as 100% × (1 − HR). Annualized event rates are the number of events divided by person-years of follow-up. An assessment for departures from the proportional hazards assumption was prespecified in the protocol and formally tested by considering a Cox proportional hazards model with a time-dependent time-treatment interaction. In addition, a series of log-rank tests were performed on the observed data in which patients were censored at 6 months, 12 months, and every 6 months thereafter until 4 years. Statistical analyses were performed using SAS version 6.12 (SAS Institute Inc, Cary, NC). For binomial data, the Pearson χ2 test was used. Of the 11 451 patients who were screened, 7747 were randomized, 3538 of whom were randomized between October 10, 1997, and July 3, 1998, and 4209 between July 17, 2000, and July 22, 2001 (Figure 1). The primary reason for screening failure was an antibody titer to C pneumoniae of less than 1: 16 (19.5%). There was an equal distribution of patients by demographic variables including cardiac risk factors (Table 1). All but 25 randomized patients received the study drug. More than 90% of patients completed the 12 weeks of study treatment. The median time since the patient's most recent myocardial infarction was 2.6 years. The mean and median follow-up times were 25 months in the 1997-1998 group and 14 months in the 2000-2001 group. Forty-six percent of the patients were followed up for at least 42 months whereas only 35% were followed up for fewer than 12 months. Approximately 4.5% of patients chose not to continue through the December 7, 2001, close of the study. The annualized primary event rate for patients receiving placebo was 8.02%. Treatment with azithromycin was associated with a 7% nonsignificant reduction in the risk of the primary event (Figure 2) (95% CI, −5% to 17%; P = .23). There were no significant reductions in the risk for any components of the primary end point: death (8%), recurrent myocardial infarction (7%), revascularization procedures (5%), or hospitalizations for angina (−1%). Adjustment for cardiac risk factors including age, total cholesterol level, and history of smoking, hypertension, or diabetes, produced a similar result (RR, −6.5%; 95% CI, −5% to 17%; P = .27). A variety of other sensitivity analyses were performed on the primary end point (Figure 3). No difference in conclusions was seen after analyzing the data with nonadjudicated, investigator-specified end points (RR, 8%; 95% CI, −2% to 18%; P = .13) or including only evaluable patients (RR, 9%; 95% CI, −4% to 21%; P = .16). The time to other events related to the progression of atherosclerosis, including noncoronary disease (stroke, transient ischemic attack, peripheral vascular disease), coronary angiograms, and hospitalizations for congestive heart failure, was no different for either treatment regimen. The proportional hazards assumption was examined because the length of the treatment period was 12 weeks and there was concern that the effect of treatment might be transient, a violation of this assumption. A Cox proportional hazards model that included a time × treatment interaction suggested an initial treatment effect that decreased with time for both the primary end point (P = .15) and the composite of death or recurrent myocardial infarction (P = .09). An analysis of the treatment effect through various observation periods is provided in Figure 4. No significant association between C pneumoniae titers and treatment effect was observed (Figure 5). In addition, no association between titers to C pneumoniae and the likelihood of developing a primary event was seen within the group of patients randomized to either azithromycin or placebo. There was no difference between treatment groups at baseline or after baseline in the distribution of C pneumoniae titers. The risk reduction for the primary event was unchanged when the log of the baseline C pneumoniae titer was included in the Cox proportional hazards model. To investigate the effect of treatment within subpopulations, several different analyses were performed. Within groups of patients sharing specific cardiovascular risk factors, trends in reduction of risk attributed to treatment were most apparent in men, patients with diabetes, active smokers at baseline, and those with a history of hypercholesterolemia (Figure 5). In the subgroup of patients who had diabetes and smoked (n = 237), the annualized event rate for the primary end point was 14.6% for those receiving azithromycin vs 53% for those receiving placebo (HR, 0.47; 95% CI, 0.25-97). In examining the treatment effect within the subsets of patients taking aspirin, statins, angiotensin-converting enzyme inhibitors, or calcium channel blockers (data not shown), no difference between the azithromycin and placebo groups was identified. In addition, an analysis assessing treatment effect by the total number of any one of these medications did not have a noticeable impact on study end point. No significant difference in treatment effect was observed when patient subpopulations were assessed by the time since their most recent myocardial infarction. Adverse events related to study drug were reported by 13.2% of those randomized to azithromycin compared with 4.6% randomized to placebo. The most common adverse effects were related to the gastrointestinal tract, including diarrhea (8.1% vs 1.4%) and abdominal pain (2.2% vs 0.8%). Discontinuations from drug occurred in 1.6% and 0.4% of patients receiving azithromycin and placebo, respectively. There were fewer episodes of respiratory tract infection, bronchitis, pneumonia, or sinusitis reported during study drug dosing among patients taking azithromycin compared with those taking placebo (6.4% vs 9.4%, respectively; P<.001). Patients receiving azithromycin reported less use of other antibacterial drugs during the course of the study (32.7% vs 36.6%, P<.001). 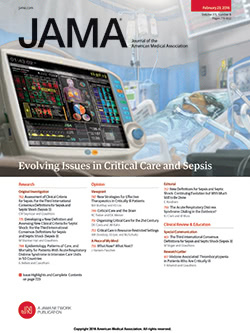 In stable patients with a previous myocardial infarction and evidence of previous exposure to C pneumoniae, 12 weeks of azithromycin therapy was not associated with a significant reduction in the occurrence of death, nonfatal reinfarction, hospitalization for angina, or coronary revascularization. The size of our study, the largest antibiotic treatment trial to date, essentially rules out the possibility of a large and durable benefit in secondary prevention with a 3-month course of azithromycin therapy and should point investigators toward consideration of alternative durations of therapy or analyses of different subsets of patients with cardiovascular disease. There may have been a greater likelihood of observing an effect in patients with conventional risk factors for cardiovascular disease, including men, patients with diabetes, and those who smoked or had a history of elevated total cholesterol levels. Studies focused on these subpopulations will be required to confirm these preliminary observations. The use of an antibiotic to prevent the development of clinical coronary heart disease is based on the hypothesis that an underlying infection could predispose an individual to progression of an atherosclerotic plaque. Work by Espinola-Klein et al25 has suggested that patients with seropositivity to multiple pathogens have an increased prevalence of advanced atherosclerosis and a greater risk of death, with mortality rates ranging from 1.4% with 0 to 3 seropositive findings and limited atherosclerosis, to 20% with 6 to 8 seropositive results and more advanced atherosclerosis. Although a number of pathogens have been proposed to serve as the infectious stimuli, it is for C pneumoniae that the most supportive data exists. Although patients in this trial were enrolled if they had evidence of previous exposure to C pneumoniae, no evidence of a treatment effect related to the degree of antibody titer was identified. Titers were also not predictive of the likelihood of developing an event during the study. Does this imply that C pneumoniae does not contribute to the development and progression of the atherosclerotic plaque? This trial was not designed to assess the role of C pneumoniae in cardiovascular disease. The limited utility of antibody titers to C pneumoniae has been well described26 and the findings in this study regarding antibody titers are not inconsistent with those views. Selecting patients based on the actual presence of the organism, perhaps by polymerase chain reaction analysis of circulating white blood cells, may prove to be a better way to test for the role of antibiotic therapy directed against C pneumoniae. The observation that a treatment effect may have waned over time is supported by a possible treatment × time interaction, suggesting that if there was an effect, future study designs may need to consider repeated dosing or longer durations of therapy. The dosing regimen for this study was chosen based on providing exposure of C pneumoniae to intracellular levels of azithromycin that exceeded the known 90% minimum inhibitory concentration of the organism but the duration of that exposure was empirically selected to exceed prior exposures with macrolides for this purpose. The incidence of death or nonfatal reinfarction was reduced by 30% at 6 months, with CIs for the hazard ratio that exclude 1 (Figure 4), shortly after stopping therapy. There was a similar trend shown for the primary composite end point, with an upper limit of 1.02 for the CI. In trials in which the observation period extends over a number of years, the duration of therapy may need to be longer. The fact that we saw this possible trend (a reduction in events that wanes over time) provides some support for the argument that longer suppressive therapy may be advantageous in this patient population. Indeed, the effect of longer-duration antibiotic therapy is being evaluated in the Azithromycin and Coronary Events study.27 Although azithromycin has significant activity against C pneumoniae, certain subpopulations of organisms may be less susceptible to eradication. Further efforts to understand the organism in this state may prove fruitful, both for selection of antibiotics or combinations of antibiotics and for manipulating the microenvironment to move organisms out of this state. The goal of the WIZARD trial was to investigate a practical short-term regimen of antibiotic therapy for stable patients who had a low to moderate risk of secondary cardiovascular events and previous exposure to C pneumoniae. Based on our findings, we cannot recommend this therapy for prevention of recurrent coronary heart disease in this patient population. These data do, however, establish a safety profile for the use of this antibiotic in this type of cardiovascular patient. In summary, a 12-week course of azithromycin did not significantly reduce the incidence of coronary heart disease–related events in stable postmyocardial infarction patients with evidence of previous exposure to C pneumoniae. In a post hoc analysis, there appeared to be a possible early treatment effect that was not sustained over the observation period. While subgroup analyses are intriguing, justification for the use of antibiotics to treat patients with coronary heart disease must await results of future clinical trials.